Fin Clothing :: Fintage is a small boutique women’s online clothing store based in Wellington in New Zealand. Fin Clothing has been designing and making clothes since 1991, they originally sold a range of streetwear clothes which included our very popular range of uniquely designed pants. They have now included vintage fabrics into their designs. 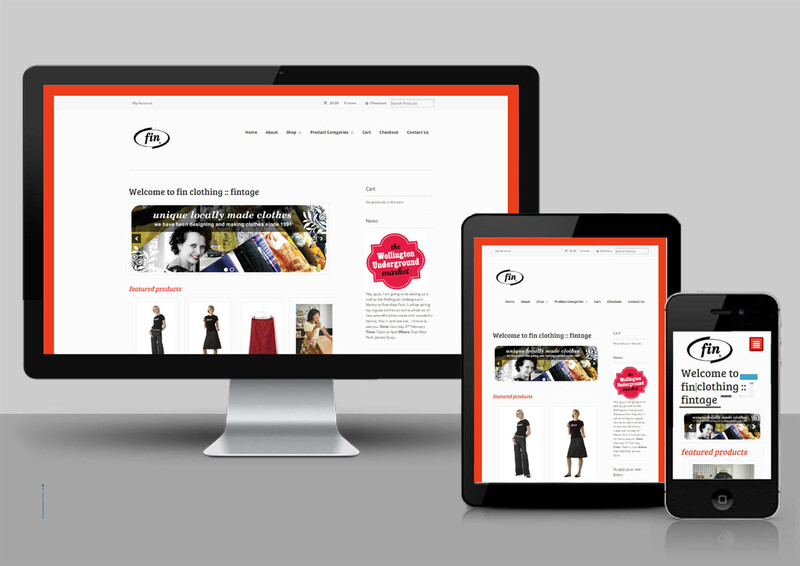 The project for Fin clothing was to redesign their website and to make the ordering system more user-friendly. Brief: To design and build an e-commerce website that was both a company profile and an online shop. Where customers could look through the product catalogue and order clothes. 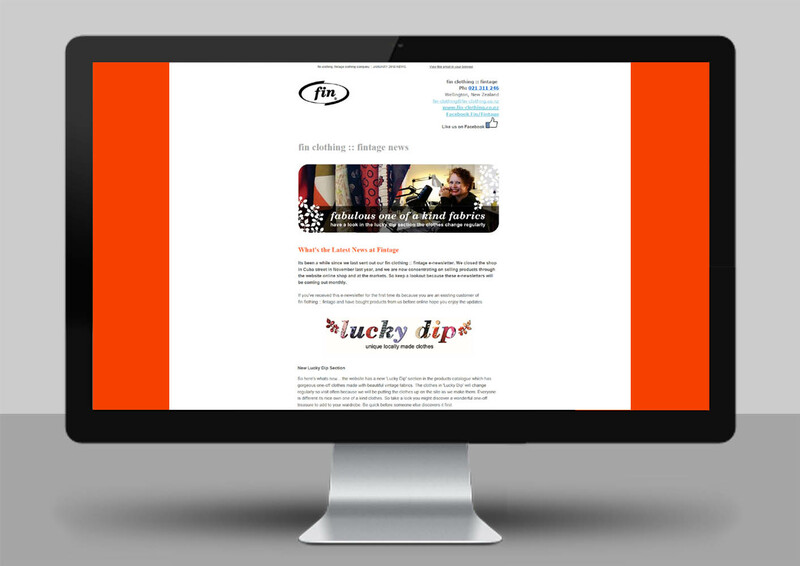 The client wanted the website layout to be simple and clean easy to navigate. Solution: The ‘look and feel’ was created by an overall simplistic modern layout and navigation. Fin clothing brand colours and fonts were used. Solution: The ‘look and feel’ was created by an overall simplistic modern layout and navigation. Fin clothing brand colours and fonts were used. The newsletter has a news section and displays the products that link back to the website.